Sire of Macarena de Besilu. 1988 National Fino Champion with trainer and rider, David Castro, Monarca de Besilu has established himself throughout the Paso Fino breed as a world class producer of champions, as he consistently supplied his sons and daughters with beautiful conformation, personality, and gait. He was imported in 1980 by Benjamin Leon, Jr of the Besilu Collection. 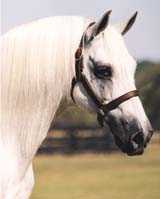 He was also an influential PFHA Top Ten Sire - father of World Champion Simbolo de Besilu among others. 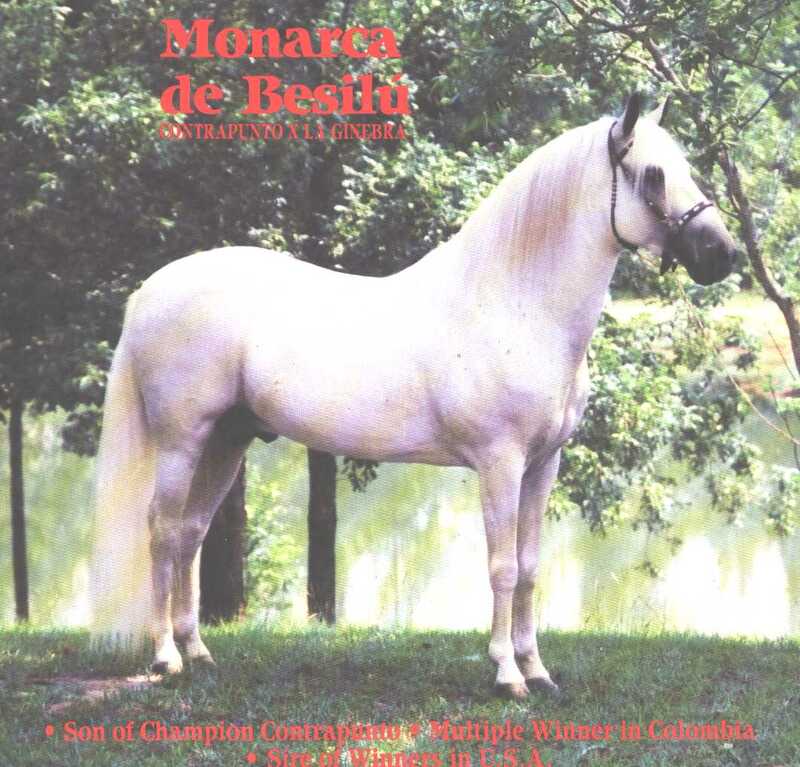 Monarca is recognized for his contributions as a broodmare sire - his daughters, such as Alegria de Besilu, La Chata de Besilu and Macarena de Besilu have produced both National and World Champion Fino offspring such as Jazmin de Isla, Pirata de Besilu, and La Millennia de Colores. Monarca spent his last years at the beautiful Buena Vista Farm in Ocala, FL where he is now buried after suffering respiratory distress.